With private student loans, you may be eligible for a cosigner release if your spouse has made a certain number of consecutive on-time payments and can come out smelling like a rose on a credit check. But note that your spouse will likely have to insistently and proactively “beat down the door” of his or her student loan servicer in order to make this happen. 3. Did you avoid cosigning, but you currently live in a “community property” state? If you live in a community property state such as Arizona, California, Idaho, Louisiana, Nevada, New Mexico, Texas, Washington, or Wisconsin (or, under certain circumstances, Alaska), you will typically be liable for all of your spouse’s debt after he or she dies. However—some community property states mercifully offer exceptions for education debts that will free you from the obligation to pay. To determine what’s true in your particular state and under your particular circumstances, contact your state department of education and ask. 4. As a team, dive full-speed ahead into paying all your student loans off as fast as you can. Start with your private student loans, because those are the scariest. The article I wrote about 4 Amazingly Easy Steps to Getting Out of Debt will help you tremendously with this project. The resources at DaveRamsey.com (especially Dave’s Financial Peace University) will also help you greatly with the process. 5. Check to see if your spouse’s debt might be eligible for Public Service Loan Forgiveness (PSLF). Hundreds of thousands of people in the US work in jobs that qualify for PSLF, and they don’t even know it. I provide clear information on PSLF on pages 6, 275-276, and 281 of my book LAUNCH: How to Get Your Kid Through College Debt-Free and Into Jobs They Love Afterward. Don’t buy the book; just ask your local library to order it for you. 6. Take a moment to make yourself painfully aware of the dire consequences of student loan default. Remember, if you and/or your spouse ever just quit paying and default on these student loans, you could be slammed with interest and penalties that will double that debt load. You don’t know what the future holds for the two of you — what financial setbacks you might face on down the line. Make it a goal to get out from under the dark cloud of student loan debt as soon as you possibly can so you can start saving, investing, and growing wealth that will last for generations. I offer additional free help on getting rid of student loan debt in this 3-article series. Please read and SHARE. Parent, you can help your kids avoid all of these headaches by getting them through college debt-free to begin with. Do you have friends who are parenting students ages 18 and up? Help us out with your experience! 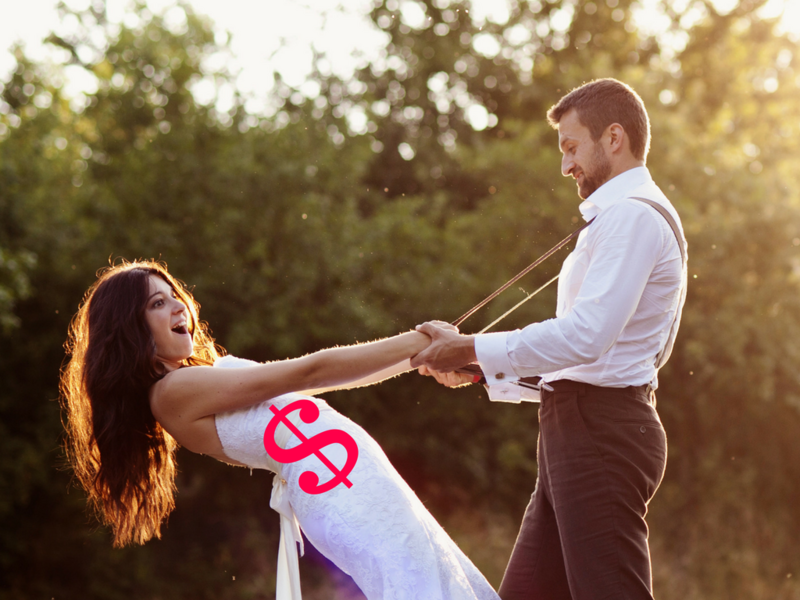 Did you marry student loan debt? Do you have happy or sad stories to share that can serve as warning buoys for others? What did you do to get out from under your student loan debt? Please comment below or LIKE Jeannie Burlowski Author on Facebook, find this post on that page, and let’s talk about it there.